The 48-second video uploaded today on the Facebook page of BJP Gujarat is, like the rejected clip, set at a grocery store. Ahmedabad: Banned from using the word "Pappu", the ruling BJP in Gujarat has turned to its other go-to nickname in an ad campaign targeting Congress vice president Rahul Gandhi. The party has already snagged the Election Commission's clearance for its new ad featuring "Yuvaraj" or "prince". 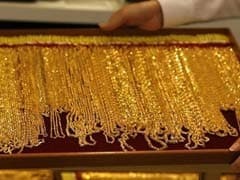 As a voice approaches the store saying "Sir, Sir", the shop owner's assistant says, "Yuvaraj has come". "You can buy anything from here but you won't get our votes," declares the owner, launching into a rant about the customer's past record. His wife has the last word, her eyes boring into the camera: "For me, only 'M' will do." Several such videos have been put up by the BJP in the run-up to polls in Gujarat on December 9 and 14. One ad was dropped after the Election Commission objected to the use of the word "Pappu" - which loosely translates to fool - saying it ridicules a specific individual commonly known by that name. "Pappu" and "Yuvaraj"- a dig at the Nehru-Gandhi dynasty and its grip on India's oldest political party - are names commonly used by BJP supporters to mock Rahul Gandhi on social media. Earlier this year, a Congress dissident was caught referring to his leader as "Pappu" on WhatsApp and paid dearly; he was out of the party soon after. 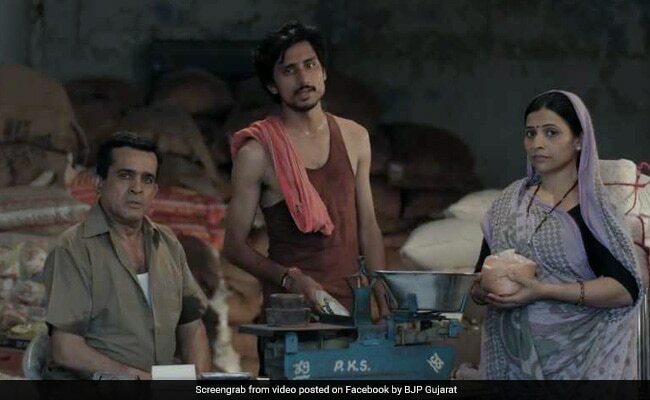 In the ad that the BJP was forced to drop, a visitor approaches a store and the staff comments: "Sir pappu bhai aaye lagte hain (seems Pappu has come)". As the media committee of the state Election Commission asked the party to remove or replace the word, the BJP insisted that it had made no direct reference or named anyone. But the commission's decision was unchanged. The stricture fired a buzz on social media and "Pappu" and "#PappuCensored" became trending topics on Twitter. The results of the Gujarat election will be declared on December 18. Rahul Gandhi has campaigned aggressively in the state to prevent another win for the BJP, which has ruled Gujarat for 22 years.